The branded bus gave festival goers a break from the heat. 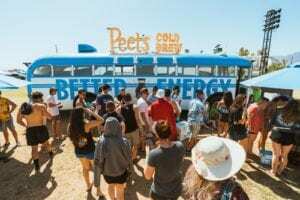 Peet’s Coffee got into the spirit of Coachella this week with several brand activations to promote its chilled Cold Brew. The craft coffee company featured the beverage at a unique branded bus within the Coachella campground and at an interactive “Ice Sauna” photo booth at the DayClub Palm Springs for attendees seeking an escape from the heat. At night, attendees could also find the bus to hangout and play games. Peet’s also surprised festival goers via its branded keg Trike, which cruised through the campground and outside the Sahara tent at Coachella, offering samples of its signature Baridi Black Cold Brew coffee on-tap. Before Coachella began, Peet’s ran a contest for a chance to to win VIP three-day passes for the festival. Peet’s is one of many brands creating memorable experiences for customers at the music festival. 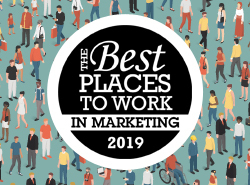 Marriott Rewards and SPG members can bid their points for the chance to stay in one of three designer yurts on the music festival’s VIP Safari campgrounds, each one modeled to look like W Hotels from around the world. 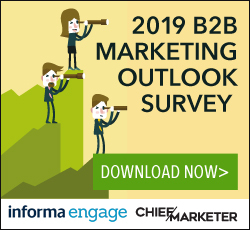 For brands in the fashion industry, festivals have become an essential part of the marketing mix. Michael Mente, co-founder of LA-clothing site Revolve, told Forbes that festivals in general, including Coachella, have become the new fashion week for Millennials.